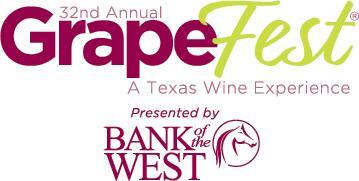 GRAPEVINE, TEXAS (September 16, 2018) – Large crowds celebrated Grapevine’s 32nd Annual GrapeFest - A Texas Wine Experience, presented by Bank of the West, in Historic Downtown Grapevine, September 13, 14, 15 and 16. Visitors tasted and savored the wines of Texas, and unique wines from North Coast California and the Rioja Region of Spain. Guests participated in festival favorite events such as the People’s Choice Wine Tasting Classic, the Liberty Park Plaza Wine Experience, GrapeStomp; experienced fun family-friendly activities and enjoyed a beautiful festival weekend. As part of the Old-World Wines Revisted tasting experience in Liberty Park, visiting winemakers poured Coro, a signature blend that has been individually crafted from 100 percent Mendocino County, California grapes for 13 vintages. Coro must lead with 40-70 percent Zinfandel and may be blended with up to nine named varietals, honoring the “Old Italian” field blends of Mendocino. Coro wines must pass a review by a panel of winemakers in four blind tastings before the wine is accepted and certified to carry the Coro Mendocino label. The winemaker must adhere to strict protocols set by Consortium Mendocino. In addition to the varietal parameters, there are strict rules concerning wine chemistry, and barrel and bottle aging before the release of this extremely limited case production. Once certified, each Coro wine is bottled in a uniform bottle, label and marked with the Coro seal. Today’s wine tasters are beginning to look for wines produced in the style of Old-World Wines. Parducci Wine Cellars, Testa Vineyards,Brutocao Cellars and Barra of Mendocino were four Coro wines served at GrapeFest. “It was a wonderful experience to bring Coro to a new audience in Texas and receive such a warm response,” said Maria Testa Martinson, winemaker, Testa Vineyards. The North Coast California winemakers received tremendous interest on many of their other varietals in addition to Coro. 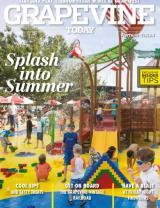 In addition to wine tasting, GrapeFest festival-goers experienced four full days of festival fun. In addition to North Coast California, guests also had the opportunity to try wines from the Rioja Region of Spain. Spanish Wine Ambassador Aitor Madina, along with other winery representatives from Spain, showcased a variety of unique Spanish wines throughout the four-day event. The 2018 Celebrity Mayoral GrapeStomp, sponsored by Tom Thumb/Albertsons, featured nine teams from across North Texas including Bedford, Combine, Euless, Grapevine, Forest Hill, Haslet, Hurst, Irving and North Richland Hills, as well as teams from Grapevine’s Sister City of Parras de la Fuente, Mexico and West Lothian, Scotland. The winners of the Most Juice Stomped Award, with 29 ounces, was the team from North Richland Hills, featuring Councilman Scott and Tiffany Turnadge. Some of the other winners included the team from Bedford, which won the Cleanest Foot Award and the team from Parras de la Fuente, Mexico which won the Tip Toe Through the Grapes Award. Sporting bright green wigs, the team from Forest Hill was featured on the local evening news and they were also a hit on social media. The juice and feet were flying at the daily GrapeStomp competitions. Four-time defending champions Lam and Jorge Bermeo, both from Dallas, won the Coveted Purple Foot Award for the fifth year in a row. Throughout the festival, teams of two stomped 18 pounds of grapes for two minutes. Under the team name Awesome & Awesomer, the Bermeos stomped 47.5 ounces in the Grand Champion StompOff. One of the signature GrapeFest events, the People’s Choice Wine Tasting Classic, sponsored by Audi Grapevine, is the largest consumer-judged wine competition in the nation. Guests had the opportunity to sample 151 Texas wines from 39 Texas wineries. Some of the Texas wineries in attendance included 4R Ranch Vineyard & Winery, Blue Ostrich Winery & Vineyard, Bull Lion Ranch & Vineyard, Silver Dollar Winery, Tall in Texas Award recipients, Haak Vineyards & Winery. After sampling the wines, guests then voted on their favorites in ten categories.